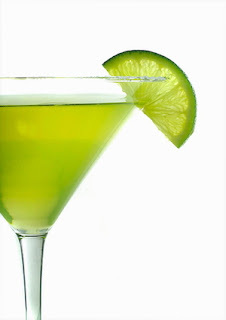 Linda LaRue Blog: Skinny Margarita: Happy Cinco de Mayo! Most margarita recipes use highly caloric, sugary orange flavored liquors, such as curocao, triple sec or grand marnier that will bust your diet. Here's a great recipe that is 0g carbs and only 112 calories versus a regular margarita, which has 740 calories! Mix together the orange extract, Splenda packets, and club soda. Put crushed ice into a shaker and pour this liquid over the ice. Add in 1 shot tequila, lemon and limejuice. Shake thoroughly, then pour into a glass. Calories: 112 per serving. Carbohydrates: 0g.